Patterned Twin XL bedding will add to your college dorm decor! 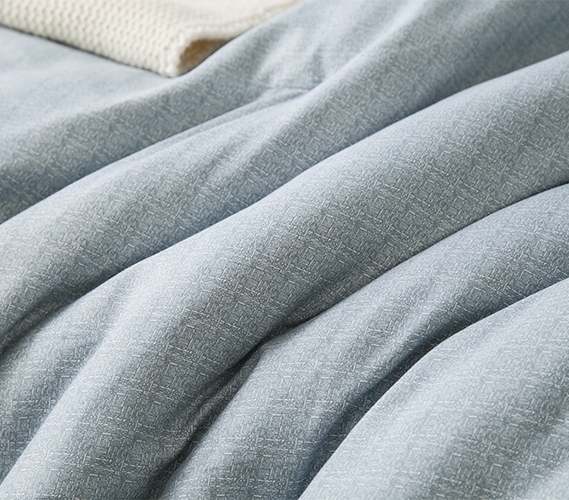 Looking for Borgo Comforter Set in size Queen or King? At DormCo, we offer a variety of designer Twin XL comforters to help you pick the perfect look that goes with the college decor in your dorm room. Since it will most likely be the biggest piece of college furniture in your dorm, your extra long Twin size bed gives you the perfect opportunity to make an impact on your dorm decor. One of our highly stylish Twin XL designer comforters will easily add a unique look to your college decor which will make a statement throughout the rest of your dorm room. Our Borgo - Twin XL Comforter - Supersoft Microfiber Bedding has this one of a kind style that will make an impact on your college decor. This soft teal dorm comforter has an intricate pattern that creates a stylish effect that will further enhance the style of your decorative Twin extra long bedding. Of course, a designer college comforter is going to have an incredible look to add style to your dorm room. 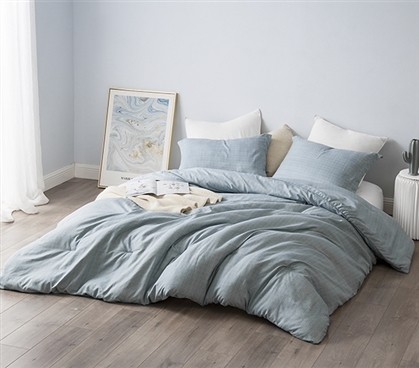 What might not be as easy to tell is the comfort level of this essential college bedding piece. Luckily, even the highly decorative dorm bedding items on DormCo are still made with cozy materials to give you the most comfortable Twin XL bedding imaginable! The thicker than average inner fill of this extra long Twin comforter will keep you warm and cozy on your dorm bed, while the comfy microfiber material will ensure that you will enjoy the amazing feeling of soft college bedding. This machine washable Twin XL comforter set also comes with a matching standard dorm pillow sham to complete the cozy feel and stylish look of this designer dorm bedding.